When the weather gets cold, I love to fill my house with mint flavored treats! 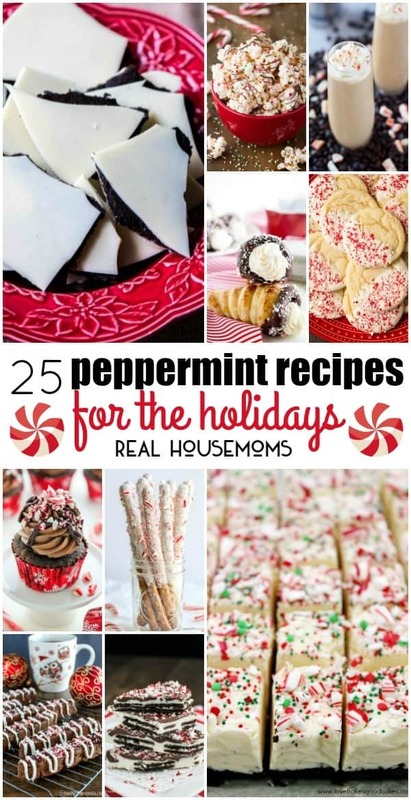 These 25 Peppermint Recipes Perfect for the Holidays are a refreshing burst of flavor that’ll leave you wanting more! During the holidays, peppermint becomes a craving for me, and that flavor fixation carries on through the rest of winter. Luckily, we’ve found 25 Peppermint Recipes Perfect for the Holidays that are guaranteed to knock your socks off! From fudge and hot chocolate to cakes and cookies, you’re sure to find a peppermint recipe you love to indulge in! There are two drink staples at my house this time of year, hot chocolate and cocktails. Both perfect for parties and both completely delicious with the addition of peppermint! These easy to make drinks are sure to become winter regulars at your house. Slow Cooker Candy Cane White Hot Chocolate – This is my favorite hot chocolate around the holidays! SO easy to make and so yummy! Peppermint Kiss Cocktail – Refreshing, chocolaty, and perfect for parties, this cocktail is a holiday hit! Peppermint Eggnog Milkshake – Two winter flavors come together for one awesome drink! 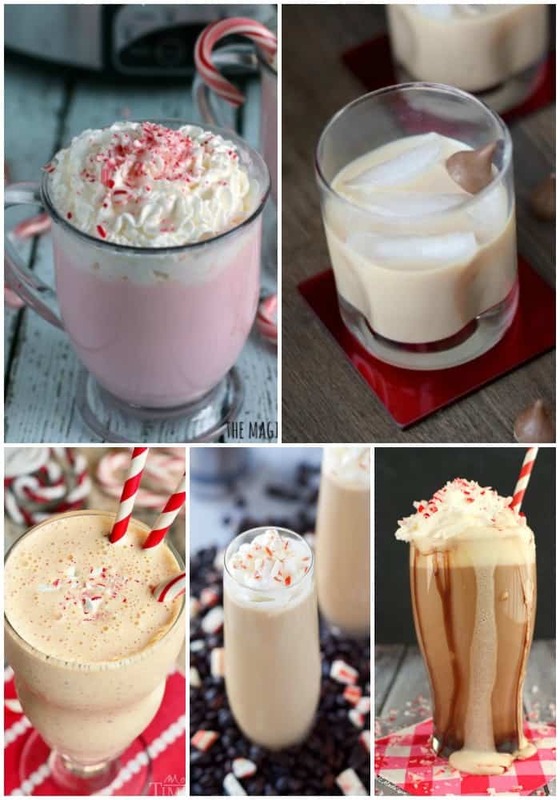 Peppermint Mocha White Russian – Give your favorite cocktail some holiday flare! Easy Peppermint Mocha – Mornings are always better with a peppermint mocha! I could peppermint just about every way under the sun. From breakfast to snacks to desserts. Peppermint makes these recipes extra special for a winter bite you won’t soon forget..
Chocolate Peppermint Cheesecake Cream Horns – Creamy, dreamy, and oh my goodness SO tasty! No Bake Peppermint Pie – Easiest pie ever! I love the cool mint flavor with the Oreo crust! Peppermint Hot Cocoa Pancakes – What kid wouldn’t love these pancakes?! White Chocolate Peppermint Pretzels – I love these for any easy gift idea! Peppermint Bark Popcorn – Get your own bowl, I’m not sharing! 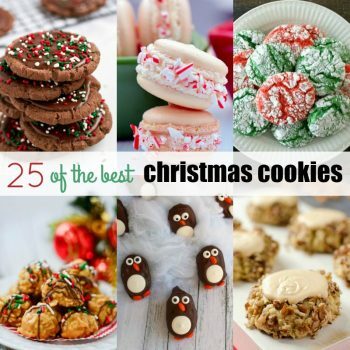 You can’t have Christmas without cookies, and these peppermint cookie recipes are my favorites! I make at least one of these recipes every year for my cookie plates to the delight of my friends and family. 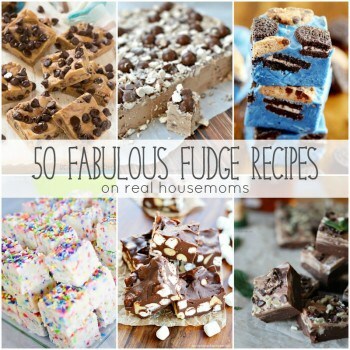 They get raves reviews and you will too when you whip up a batch! Chocolate Crinkle Peppermint Blossoms – These classic cookies are a must-make for holiday cookie plates! Peppermint Shortbread Cookies – Mexican wedding cakes get a minty make-over you’ll love! White Chocolate Dipped Peppermint Sugar Cookies – So pretty and so festive! Double Chocolate Peppermint Biscotti – Is there anything better than chocolate & peppermint together? Probably not. 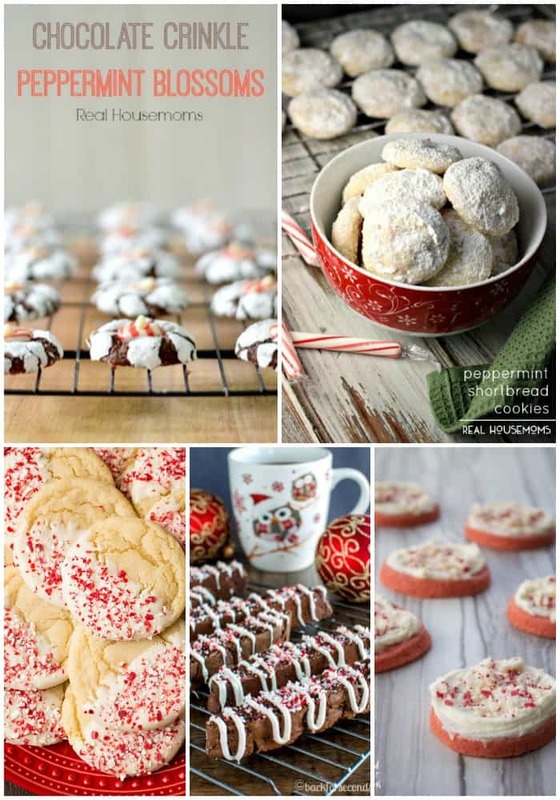 White Chocolate Peppermint Cookies – These cookies are crazy good! I love the creamy frosting on top too! I’m kind of addicted to fudge and peppermint flavored candies. It doesn’t matter what time of year it is. These peppermint candy recipes are SUPER easy to make and perfect grabbing a little bite of your favorite winter flavor! Peppermint Truffle Bark – I could eat this all year long! It’s SOOOO good! 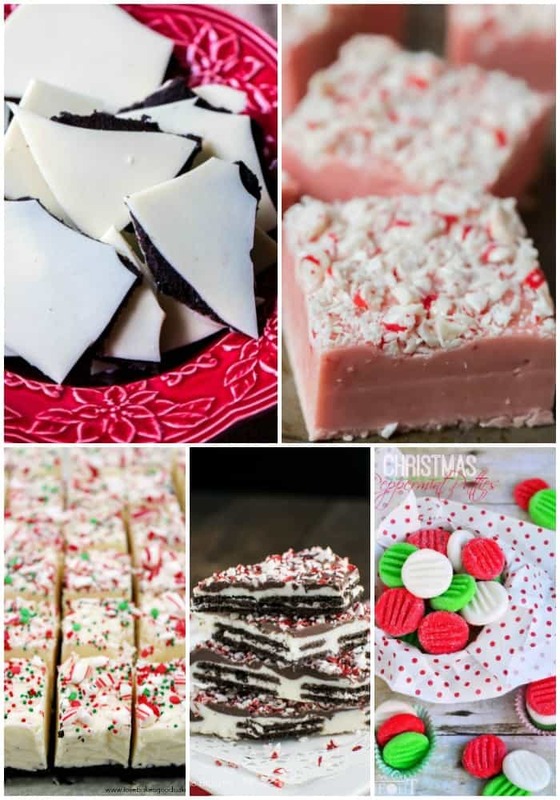 White Chocolate Peppermint Fudge – Make a double batch and give half as gifts! Everyone will love you for sharing!! White Chocolate Candy Cane Fudge – I love all the Christmas colors on this fudge! Peppermint Oreo Bark – And you thought Oreos couldn’t get any better! Easy Christmas Peppermint Patties – I loved these as a kid and now I can make them at home! 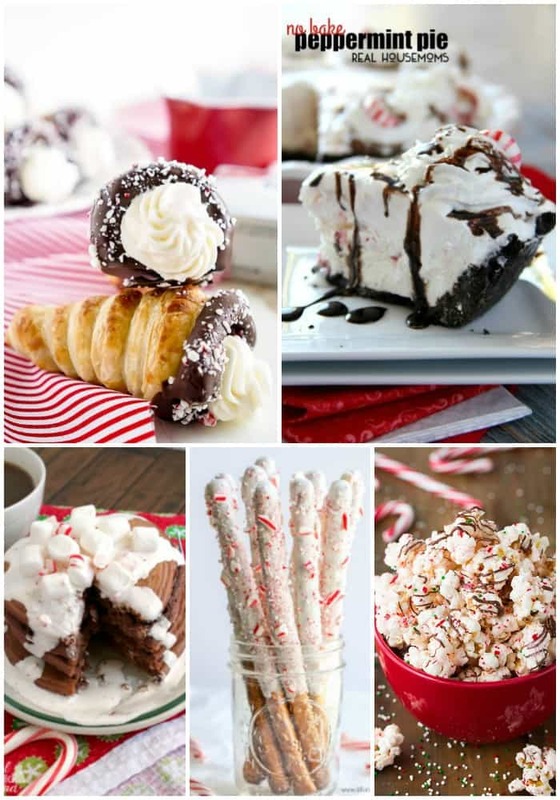 Get creative with your holiday desserts! These peppermint cakes are surefire showstoppers that’ll have everyone for the recipe. Whether you’re heading to a potluck or just have the family over for dinner, there’s a delicious recipe for you to share with the people you care about. Peppermint Cocoa Cake – Layer cakes are my favorite and this one if perfect for December birthdays! Chocolate Peppermint Bundt Cake – A classic for all your holiday parties! Peppermint Chocolate Mini Cakes – Who wouldn’t love their own individual dessert after Christmas dinner?! Chocolate Peppermint Roll – This cake is a show stopper for the winter season! 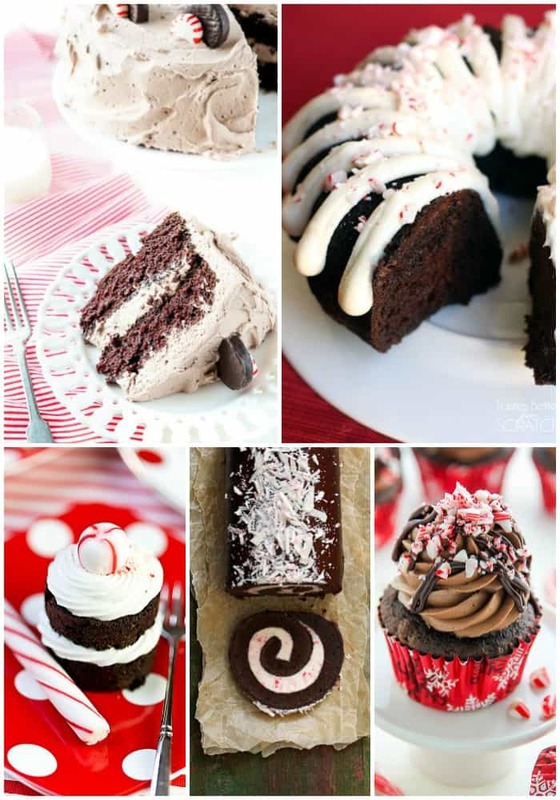 Peppermint Mocha Chocolate Cupcakes – OMG! YES! !